With just a few words, the author evokes the human emotion of fear. Stars, like humans, want to live on forever. It is a mature picture book that encourages children to think about emotions, nature and life in a refreshingly light and playful way. 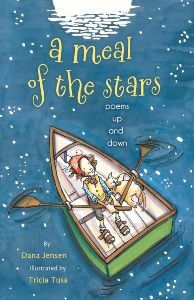 These poems are sure to inspire the creative minds of children ages 8-11.